My Card Attic: A Short, Quick Crafting Break! Hello lovely friends! Thank you for popping by and leaving such sweet comments re: my latest disaster! I just had to take a quick crafting break . . . 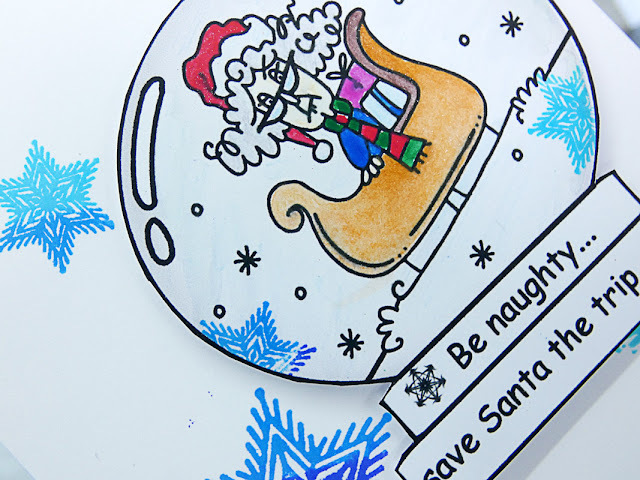 I have been sooo long without making a card that I was getting withdrawal symptoms 😧 So, I took a 'Bugaboo' digi image that I had taken with me to Spain and coloured with my coloured pencils and cut it out by hand, stamped a few snowflakes and assembled . . . quick, easy, no fuss! Here are the pictures - I have also shown the inside of this card as requested - it's nothing special, but one of my regular readers asked for it. Fun Christmas card - great coloring and love all the snowflakes in the background. Hope you had a great weekend. I love the image and the sentiment Hazel. The snowflakes in the ombre blues are gorgeous and I love seeing the interior! The card is so fun inside and out, Hazel! I'm glad you got a chance to do some crafting! A great way to relax! 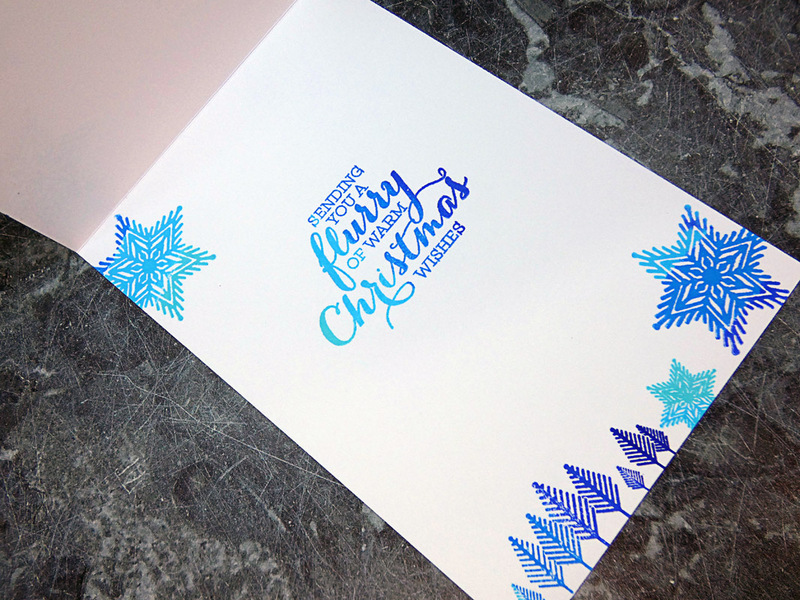 Fun holiday card, and I LOVE the inside! You've definitely made it as beautiful and interesting as the outside. Whoever receives it will love it. This is just too darn cute...love your fabulous and fun snow globe.